I especially loved La Push. So beautiful and picturesque. 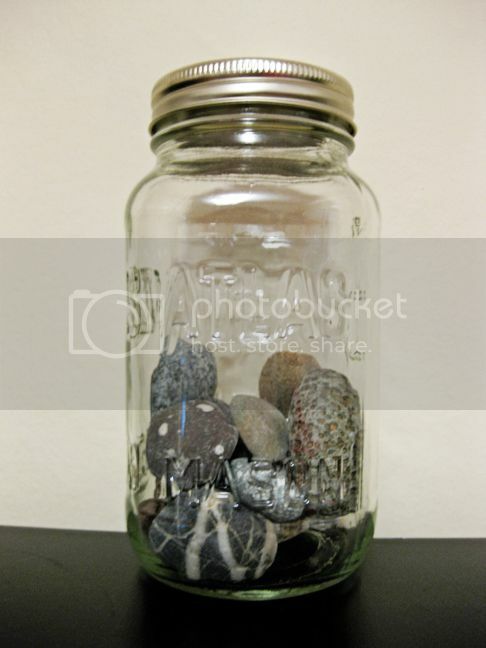 and they now sit in a jar on my shelf where I can see them every morning and night. They bring back fond memories. I'm super anxious for New Moon to come out on DVD on the 20th. I'm desperately wishing Katie and Marlene would host another party to celebrate! But now Marlene lives in Nebraska, Katie is in Utah, and I'm in California. We should reunite for this ultra special occasion though! I've been listening to the Twilight and New Moon soundtracks on my way to and from work. 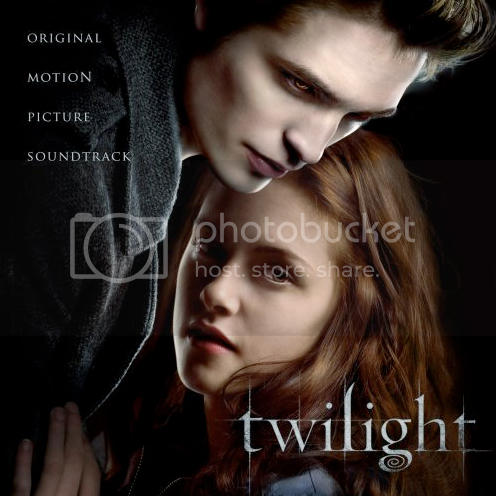 I like the Twilight soundtrack much better than the New Moon soundtrack, but I like the New Moon movie much better than the Twilight movie. 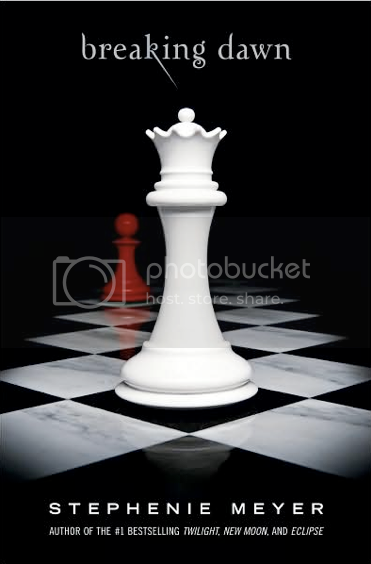 To get my Twilight fix (in addition to writing this post), last week I started reading Breaking Dawn for the second time. I'm pacing myself, unlike the first time when I devoured it in less than 24 hours. This time I only read it while I'm at work on weekdays for four hours at a time and I'm interrupted by phone calls every 30 seconds (so I literally have to pace myself, but not by choice). How corny is this book though, really?? Haha. Wow. And yet, I love it. Such is the magic of Twilight I s'pose. 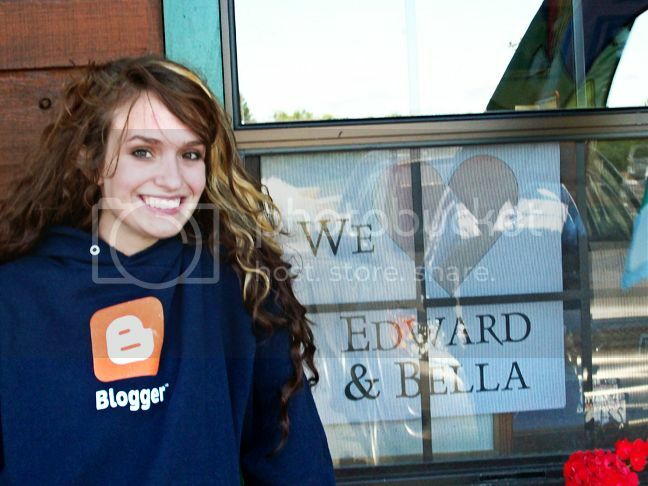 I like your blogger sweatshirt. I remember how fun your Forks day was. Fun that Allie got to go with you, too. And to do it on a SUNNY day? That was a mixed blessing, wasn't it? p.s. breaking dawn was my least favorite book. kinda disappointing. its still juicy goodness though. im reading eclipse right now to prepare for the movie! i cat WAIT! 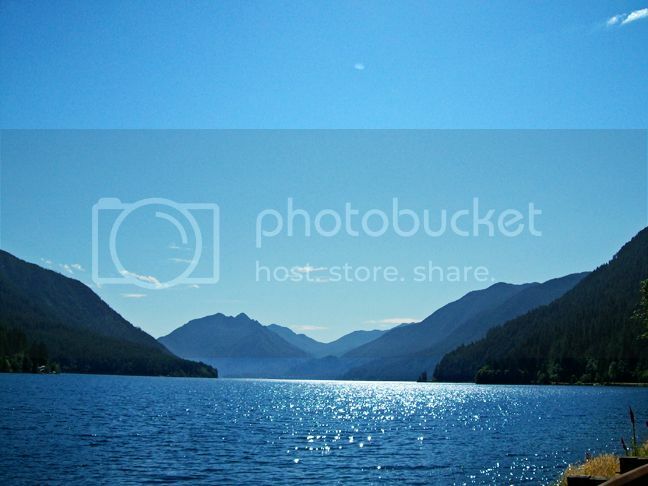 i also say me, you and marlene plan a forks trip in the near future. im not joking. how fun would that be? That's so funny that you posted about twilight because I watched it the past two days. ha! I was just re-watching Twilight the other night and got super excited when I realized that the vantage point from the very tip of the tree Edward and Bella were sitting in was the very same view I looked out on, on a hike I had taken a couple years back. It was an incredable view in person from the top of a waterfall in Oregon. can you believe i have not read a single book or watched either movies? however, My sister is trying to bring me over to the dark side. What a cool post!!! 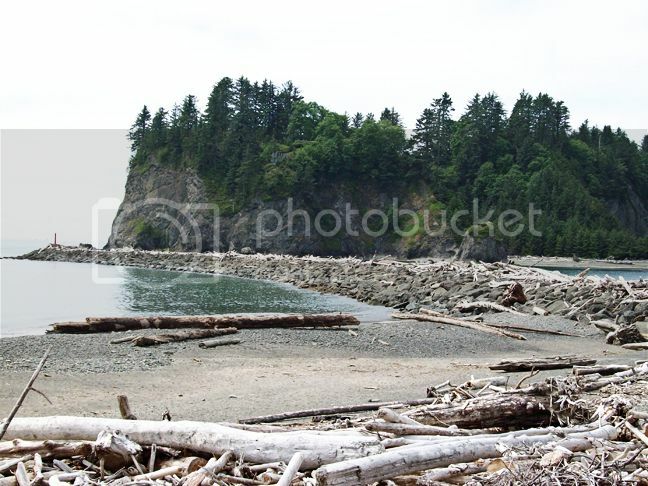 La Push DOES look amazing! WOW! I want some Forks rocks too! I'll have to visit sometime. That is just so cool. And yes, Breaking Dawn *IS* so cheesy! LOL. 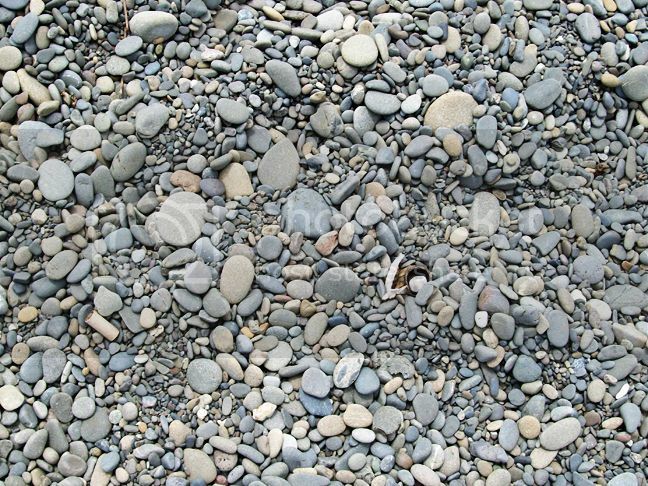 Actually... no stone throwing... I didn't finish it. It was so cheesy, I had to put it down and move on to something else. But now I'm REALLY wondering how it ends, so I'm thinking I may have to back to it... *sigh* LOL. Have you read the partial manuscript on Stephenie Meyer's website? It was a good Twilight fix for me! Have I read Midnight Sun. Ha. Ha. Ha. Boy have I ever! I wanted to print it so I could have it in my hands and read it, but it's got all these copyrights and passwords so what did I do? I took a screen shot of every single page and printed them. Where there's a will there's a way! I read it out loud to my family while we were driving to and from the cabin last Thanksgiving, and I often read it when I'm flying to distract myself cuz I hate flying. It's my favorite of the Twilight series, even though it's not complete. I like being in Edward's head much better than Bella's. I hope Stephenie Meyer grows up and finishes it and publishes it soon! I wish we could all have a New Moon party together. 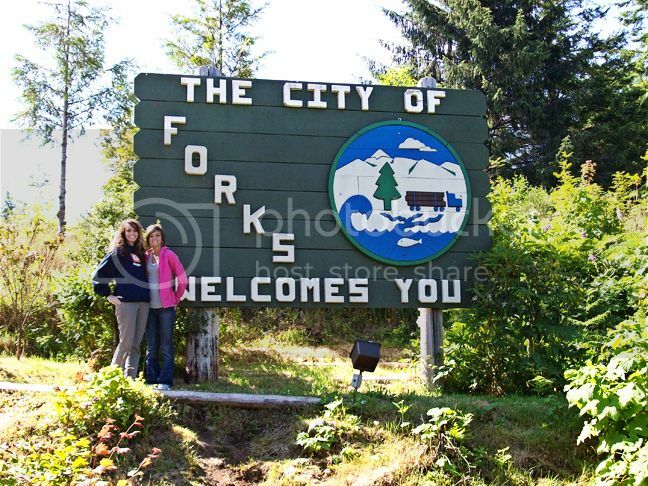 We should take a trip to Forks together. I might have to break down and read Midnight Sun. I've been holdng out in hopes she finishes.